Blue at blue. Natasha Hohonova. 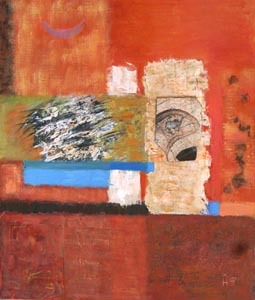 2010, oil painting: oil on canvas, acryl, natural stones (onyx), 80x60 cm (31 1/2"x23 1/2"). Tavatuy. The day.. Natasha Hohonova. 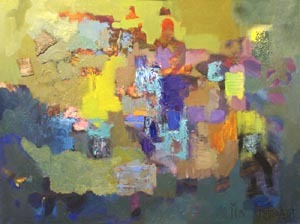 2010, oil painting: oil on canvas, acryl, natural stones (jasper), 57x67 cm (22 1/2"x26 1/2"). 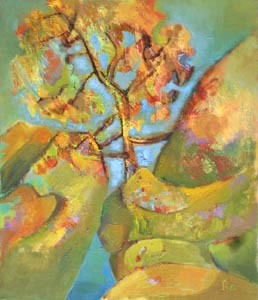 2010, oil painting: oil on canvas, acryl, natural stones (jasper), 80x70 cm (31 1/2"x27 1/2"). 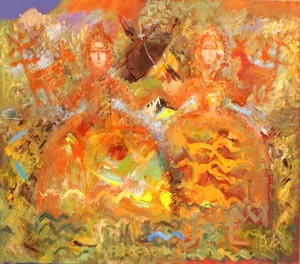 2009, oil painting: oil on canvas, acryl, natural stones (jasper), 50x70 cm (19 3/4"x27 1/2").